Is your ESN section/country organising an event in celebration of the 30th anniversary of Erasmus+? Register your event here! 2017 marks the 30th anniversary or the Erasmus+ programme - a milestone for Europe! An enduring European success story, Erasmus+ is a cultural phenomenon that has been credited with fostering a pan-European identity. The current programme, running from 2014 to 2020, is set to provide mobility opportunities to over 4 million people. Erasmus+ has also been said to boost employability and job mobility. According to the Erasmus Impact Study, young people who study or train abroad are half as likely to face long-term unemployment. In celebration of this momentous occasion, a website has been launched to bring together all key players in Erasmus+. As the key student organisation supporting Erasmus+, ESN has been actively involved in European student mobility for over 27 years. 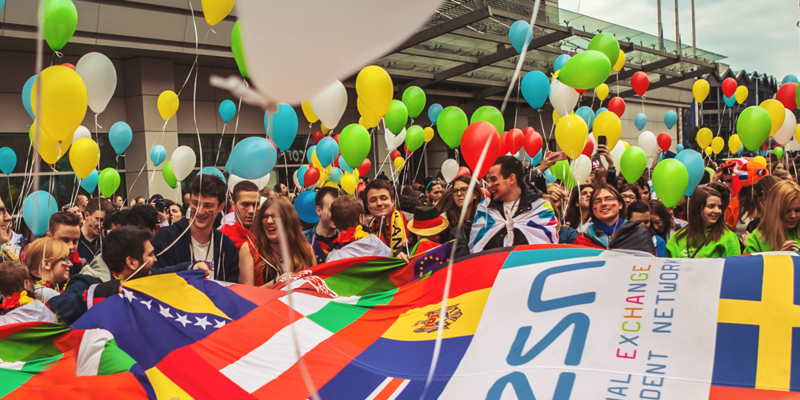 Founded in 1989, 2 years after the establishment of the Erasmus programme, ESN is now a network of over 500 student organisations in 40 countries across Europe. Every day, our members provide services on a voluntary basis to over 220,000 students, under the principle of Students Helping Students. "The idea to create a student network supporting the Erasmus exchange programme was born in January 1989. The Erasmus Bureau invited 32 ex-Erasmus students to come to Ghent in order to evaluate the Erasmus exchange programme up until then." Amongst the 32 were a group of students who believed that a more practical, peer-to-peer approach was necessary to facilitate the mobility process. The rest, as they say, is history. Today, more than 27 years later, ESN is proud to be a close collaborator of the European Commission, working together in a multitude of ways to constantly improve and facilitate youth mobility. Especially in times like these, times of rising xenophobia and Euroskepticism, ESN believes it is ever more important to expose ourselves to other cultures and travel widely - values espoused by Erasmus of Rotterdam, the famous philosopher who lends his name to our cause. Throughout the year, ESN's member organisations will be organising various events and activities under the scope of the 30th anniversary celebrations. Check out all of ESN's celebratory events here! Many of our sections will also be collaborating with national-level celebrations organised by Erasmus+ National Agencies. To keep informed on ESN's celebrations, be sure to follow the Erasmus Student Network on Facebook! We wish you all a happy 2017, and many happy years of travelling ahead!